I have to confess that Normandy has always been one of my favourite places for a holiday and the area around the medieval ‘city’ of Domfront is one of the most restful and picturesque in the whole region. It’s the perfect setting for a themed holiday and Le Choisel at Lonlay l’Abbaye, Orne, is just the place for a myriad of different holidays. Perched on a hillside, commanding stunning panoramic views of the lush Normandy countryside, Le Choisel cleverly combines the comforts and convenience of 21st century living with the culture and craftsmanship of a traditional Normandy farmhouse. 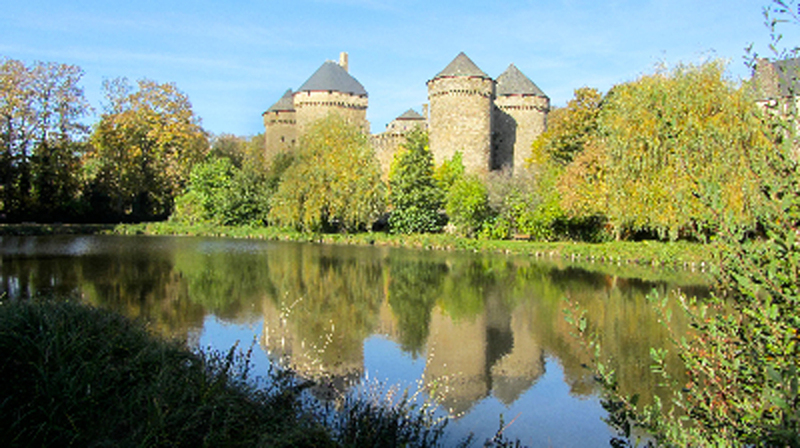 Le Choisel is situated in the ‘Parc natural régional Normandie-Maine’, much of which is ancient forest and the perfect retreat for those who love the outdoors and gardening. 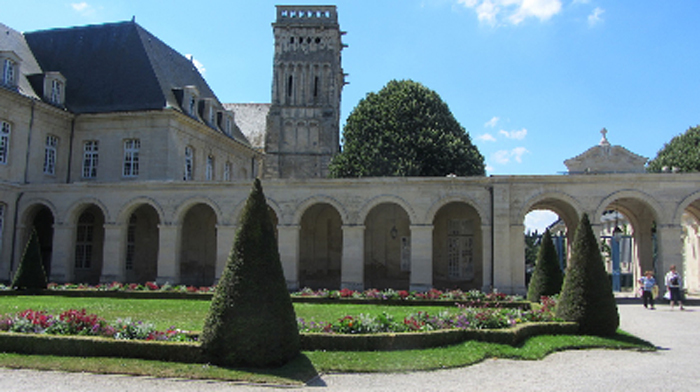 Le Choisel offers tutored holidays including wine-tasting and creative writing. Alternatively, you can base yourself at Le Choisel from where you can independently visit the surrounding area. Within easy reach of the farmhouse you will find enchanting chateaux and classical churches as well as formal gardens and vast parklands. Le Chosiel is about three hours drive from Monet’s Giverny, while closer to home is the stunning Dior Museum gardens at Granville designed by Christian Dior; the rose gardens at Lassay les Chateaux or just chill and enjoy La Fosse Arthur, a natural beauty spot just down the road from Le Choisel itself. 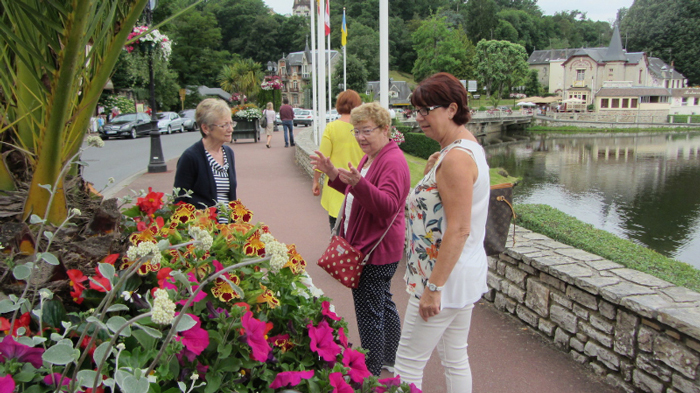 Normandy is famed for its parks and gardens and a glance at the Normandy Tourism website gives a good overall view of what’s on offer to visitors to the region – check out their website here for information. You can download an excellent guide from their website. The farmhouse sits within the region known as “Pays-de-Lancelot-du-Lac: (the country of Lancelot du Lac)” and teems with ancient sites claiming links to many of the tales within Arthurian Legends. Bagnoles de l’Orne, with its waters’ health giving properties is not to be missed nor a drive through ancient forests of which there seems to be an abundance in this region. You can immerse yourself in the ancient history of the area, famous for one name forever imprinted on English minds – William the Conqueror. A short drive from Le Choisel is Falaise, William’s birthplace. Le Choisel is also a good base for discovering military and industrial history. This area saw heavy fighting during World War II and the Battle of Falaise Pocket is usually referred to as the decisive engagement in the Battle of Normandy. Several museums tell the story of the Battle of Normandy including the Landing Day Museum at Utah Beach, the Museum of the Occupation at Sainte-Marie-du-Mont and the Caen-Normandy Memorial Centre for History and Peace. The Caen museum is very thought provoking and I found it interesting and moving – certainly well worth a visit. The region is also a foodie paradise – here the wonderful Calvados is a perfect way to finish a meal or you could try the Pommeau de Normandie cider. There are plenty of distilleries offering tours and tasting. Le Choisel has a resident wine educator offering bespoke food and wine matching. Caroline Murphy has more than 30 years working and lecturing in the wine industry and can guide you through the mysteries surrounding this fascinating topic. Of course, every day is market day in Normandy! There are plenty of specialist markets as well as lively traditional ones. The area is certainly inspirational for artists and resident tutor Angela Birchall, an experienced artist and teacher, is on hand at Le Choisel to lead you through classes in painting and drawing. Their website gives full details of themed holidays running in 2017 if you want an inclusive package and B&B details for those guests wanting to do their own exploring. 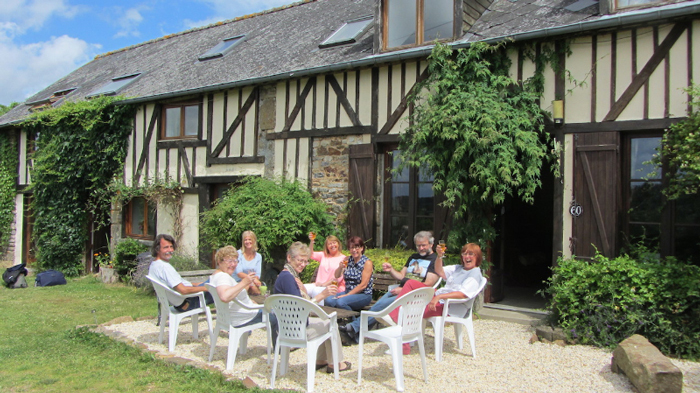 For larger parties you can also rent the whole house as a gite, subject to availability.